0% APR for 12 months. After 12 months later regular APR is going to be 11.49%, 15.49% or 19.49%. You don't need to pay for foreign transactions. 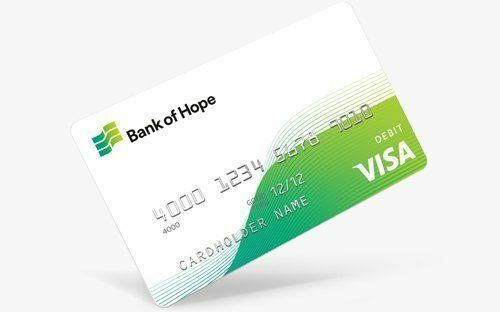 Bank of Hope Visa Platinum has no annual fee. 3% balance transfer fee is very good. You are not going to get any rewards points or cash backs with this card. There are not unique promotions and services with this card. 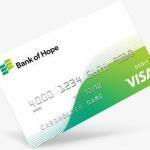 Bank of Hope Visa Platinum credit card is a low interest card which also provides many other good features for you. However if you are thinking getting a rewards card or cash back card, we don’t recommend this card for you. There is not any of those options on Bank of Hope Visa Platinum. However there are 0% APR, No Foreign Transaction Fee, No Annual Fee options in the card. There are also some extras. Low interest rate of the card is also very attractive. You can see some rates of the card below. You can also click on Apply button above to get more information about the card. If you would like to feedback this review, please feel free contact us. You can also review this credit card in the review section below. Regular: 11.49%, 15.49% or 19.49% Not Available None None $37 $10 or 4% 23.99% $10 – 3% 0% for first 12 months.